Gulf of Finland is part of the Baltic sea and the coast of Saint-Petersburg and its suburbs. To get to the most picturesque corners of the Bay are different ways by land and water. Russians admire the beauty of the Gulf of Finland will be the easiest in Saint-Petersburg and its suburbs. Use of local public transport. You can reach the beautiful coast of the Gulf of Finland opposite the Park of the 300th anniversary of St. Petersburg. Using the metro to get to the metro station "Chernaya Rechka" or "Old Village". Next take one of several trams to the shopping center "mercury", which is located on the street Savushkina. Coming at this stop and move in the opposite direction and you will reach the coast. You can also take a ride to the metro station "Primorskaya" and walk along the old houses of the era of 70-ies, not yet released to the Gulf. 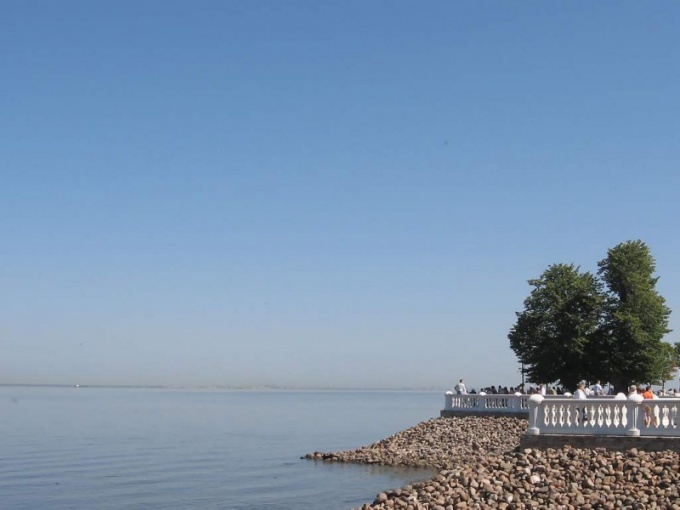 Get to the Peterhof, the popular place for romantics who prefer to admire the Bay disappearing into the distance. Use taxi, walking from the metro stations "Baltiyskaya", "Avtovo", "Prospect VETERANOV" and "Leninsky prospect". Please note that the station "Avtovo" is very popular among tourists, and there may be long queues. From here you can travel by route taxi №№ 224, 300 or 424. Also drive to your destination, you can bus No. 200. At the station "Leninsky prospect", you can use the route taxi №№ 103, 224, 420. From the "Baltic" is the bus No. 404, and from the metro station "Prospect VETERANOV" - No. 343 and 639Б. Reach the destination by train from the Baltic station located near the metro station "Baltic". You will approach trains towards stations "Kalishche", "Krasnoflotsk" or "Oranienbaum". Out on any of them, you can quickly get to the Gulf coast. From stations in the direction you want to take buses No. 349-352, 355 and 356. Take a trip on the hydrofoil across the water from the docks or the Palace embankment near the Palace bridge at the Admiralty. Adult ticket will cost you at a price of 650 rubles, and for children – from 300 rubles.